Shoobx and Paylocity have partnered to offer Shoobx clients a seamless, integrated payroll experience as part of our suite of human resources features supporting the full employee lifecycle. The Shoobx-Paylocity partnership offers a 360° integration with payroll starting at only $4 per user per month. Data syncing is bi-directional, giving you the ability to keep both Shoobx and Paylocity up-to-date. Getting your company on Shoobx means more than just a payroll solution. We provide an integrated all-in-one platform for your startup’s HR, equity, fundraising, and governance needs from incorporation to exit. Want to learn more about payroll on Shoobx? Click below to start the conversation about how payroll on Shoobx can work for your company. Paylocity develops industry-leading, cloud-based payroll and human capital management (HCM) solutions that empower customers to drive strategic human capital decision-making, cultivate a modern workforce propelled by innovative technology, and improve employee engagement. For more information about Paylocity, explore their Shoobx Spark profile or visit www.paylocity.com. How does this work? Do I need to be a Shoobx client? Yes, you need to be a Shoobx client to use this integration. 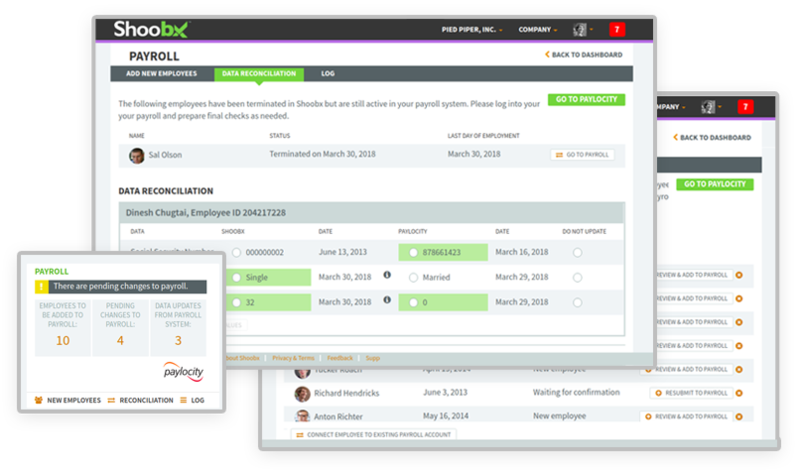 If your company is already on Shoobx, you can get started with payroll in Shoobx today. If you are new to Shoobx, we will need to onboard your company onto the Shoobx platform (even if you are already a Paylocity customer). Fill out the form above and a member of our team will be in touch to walk you through the necessary steps! 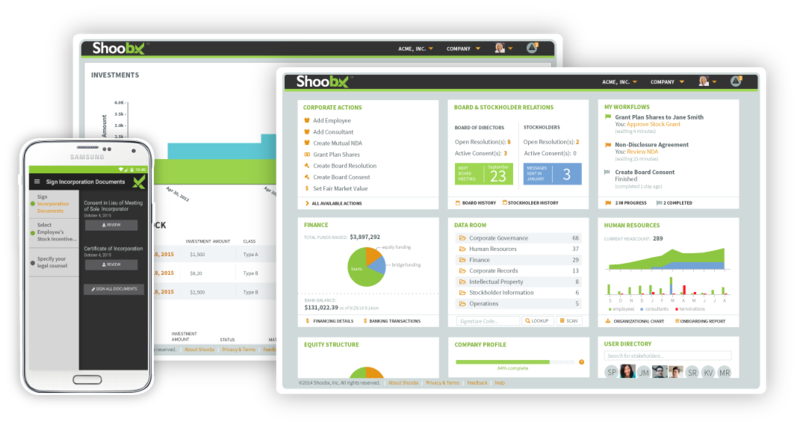 Once your company is on Shoobx, you get access to all of the tools available to our Shoobx users. Check out our pricing. What do I get with my Shoobx subscription? It’s a really long list. Click here to learn more! © 2019 Shoobx, Inc. All Rights Reserved. Terms and Conditions.